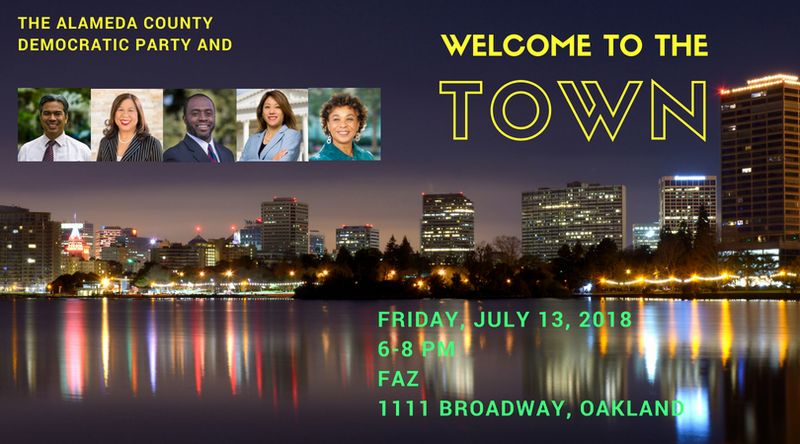 Join the Alameda County Democratic Party, Assemblymembers Bonta and Thurmond, Board of Equalization Member Fiona Ma, Controller Betty Yee, and Congresswoman Barbara Lee as we welcome the California Democratic Party Executive Board to Oakland. Meet, mix and mingle with local and statewide activists and leaders. This event is free, and light appetizers will be served. The first 50 entrants will get a free drink ticket courtesy of our hosts. RSVP here!